Dual certified to NFPA 1977 and NFPA 1951 standards, the LA Series Wildlands will keep you safe in dangerous environments. Comfort Fit: Elasticized waist provides a comfortable and flexible fit. Spacious Pockets: Features chest pockets and slash pockets as well as optional cargo pockets. Thermal Protection: Nickel-plated brass snap front closures with fabric shield to prevent heat transfer. Easy Mobility: Curved hem and a generous cut for easy movement. 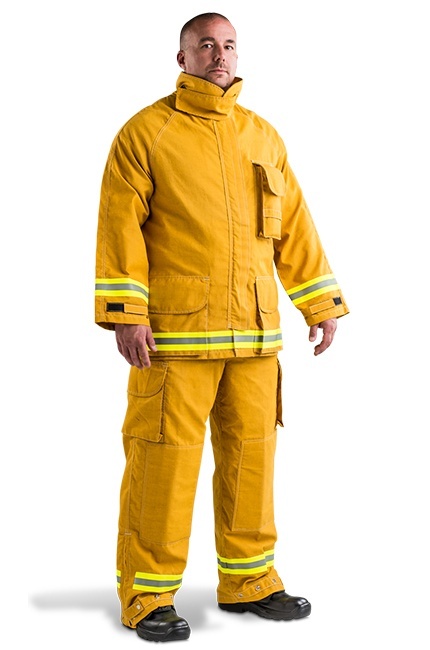 Certified Protection: Dual certified to NFPA 1977 and NFPA 1951 Standard on Protective Ensembles for Technical Rescue Incidents in Brigade 600. Easy Visibility: One-inch or two-inch silver 3M™ Scotchlite™ Reflective Material for maximum visibility. Leg Options: Adjustable hook and loop ankle closures keep embers from entering leg area. Optional 10-inch zipper bottom leg closures. Knee Protection: Available with reinforced or padded knees. 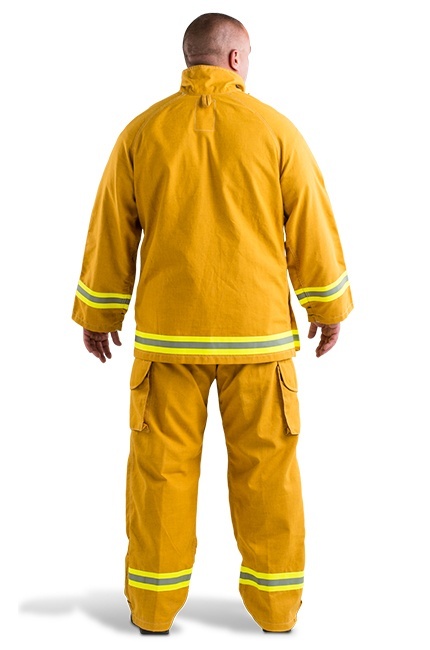 Available in NFPA 1977 compliant Nomex® IIIA (yellow), PBI® Triguard or Indura® FR cotton (yellow). Nickel-plated brass snap front closures with fabric shield to prevent heat transfer. Two spacious chest pockets with full coverage pocket flaps and pen slot (left side). Extra long front and back hem that can be tucked in or left out of pants. Self-material hanger loop at neck. Belt loops accommodate up to two-inch belt. Two spacious contoured, front slash pockets. Self-locking, zipper fly closure with fabric shield to prevent heat transfer. Adjustable hook and loop ankle closures keep embers from entering leg area.